No recent game has given me as much pleasure as the parlor game known as Werewolf. * Whenever my extended family gathers for holidays, we play Werewolf over and over. 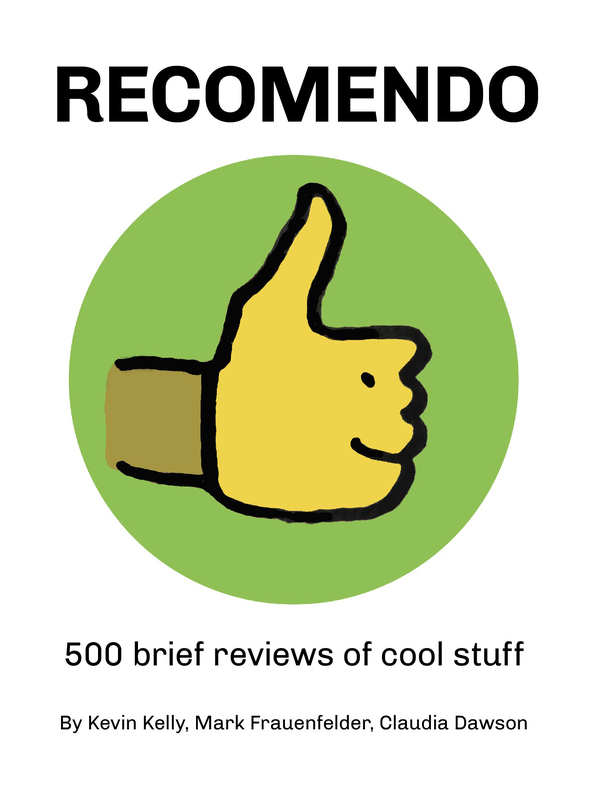 I’ve played the game on company retreats, at tech gatherings, on group vacations. At Foo Camp, a rendevouz for nerds, epic sessions of Werewolf will run all night long till dawn. It is that addictive. Because of the intense social dynamics, the game is eternally surprising and addictive. Werewolf is the only non-sport game I know of that is as much fun to watch as to play. Players who die early in the game will always stick around till the end, watching in fascination. Like Charades, you don’t need any equipment, other than some index cards, or a deck of playing cards to distribute in order to assign roles in secret. But over years of playing we’ve found this dedicated deck of cards by Ted Alspach makes it much easier to introduce newbies, and to remember roles. The deck contains 40 or so cards printed with Werewolf roles and instructions. It also contains about 25 additional roles that can be added to the typical 5 main roles, which is why Alspach calls it Ultimate. As you play more often or the groups get bigger, you can keep the game exciting by experimenting with these additional roles. A pretty good free rule set for Werewolf can be found online here. Grab a regular deck of cards, assign different picture cards to roles, and you are off. 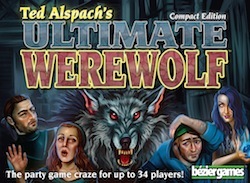 If you want a bit more help this Ultimate Werewolf deck includes a fantastic sheet of very clear rules and instructions (the best I’ve seen), with great tips on how to be a good moderator. And the rules stay handy with the ready-made cards. We’ve found that having the roles explained on each card is really helpful for new players.